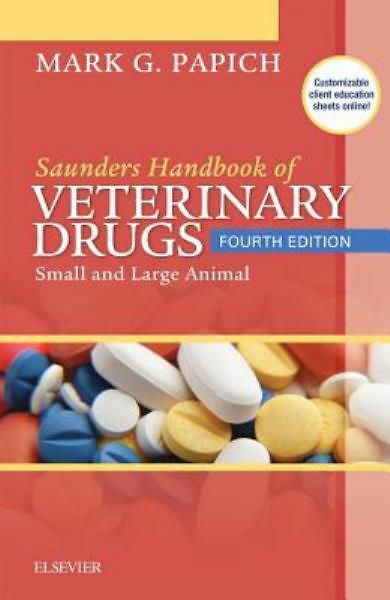 Saunders Handbook of Veterinary Drugs, 4th Edition includes entries for 550 drugs, with convenient appendices summarizing clinically relevant information at a glance. New to this edition are 25 new drug monographs and easy access to drug content on any mobile device. Written by clinical pharmacology expert Mark Papich, this handy reference includes a companion website containing more than 150 customizable handouts with special instructions for your clients. 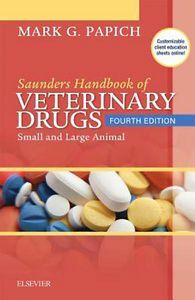 It helps you find the specific drug facts and dosage recommendations you need to treat small and large animals, right when you need them!